What seems like such a simple bathtub enclosures can actually turn into an elaborate and focused room. Picking out your tub spout and shower faucet will give you a great starting point. With so many handles and accessories, you can pick a design that fits your style. Our brands offer many styles that are unique and modern as well as functional. Can vary in appearance and functionality. For example, there are multi-function shower heads, single-function shower heads, rain shower heads, handheld showerheads, and dual shower heads. Multi-function shower heads give you different spray nozzles and patterns, such as a massage setting. Rain shower heads provide an overhead experience. Handheld shower heads are very common in showers today due to the flexibility they offer. 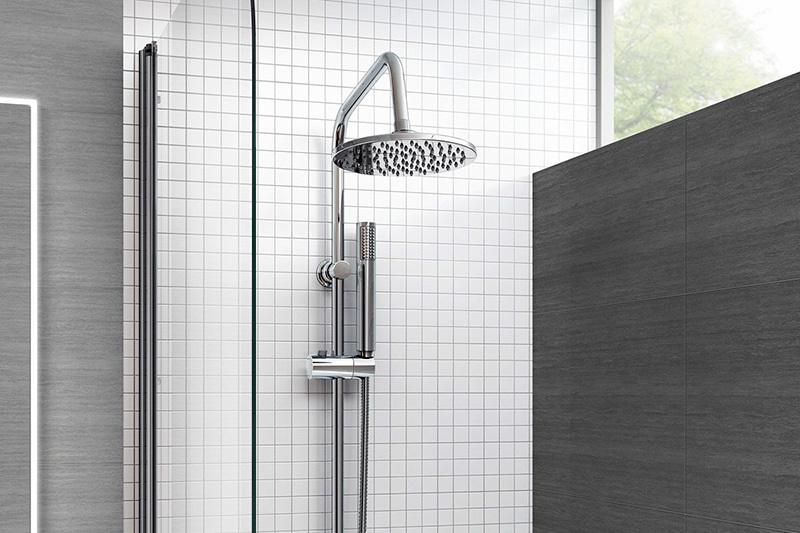 Dual shower heads are units that offer a stationary head while also allowing you to use a handheld shower head. 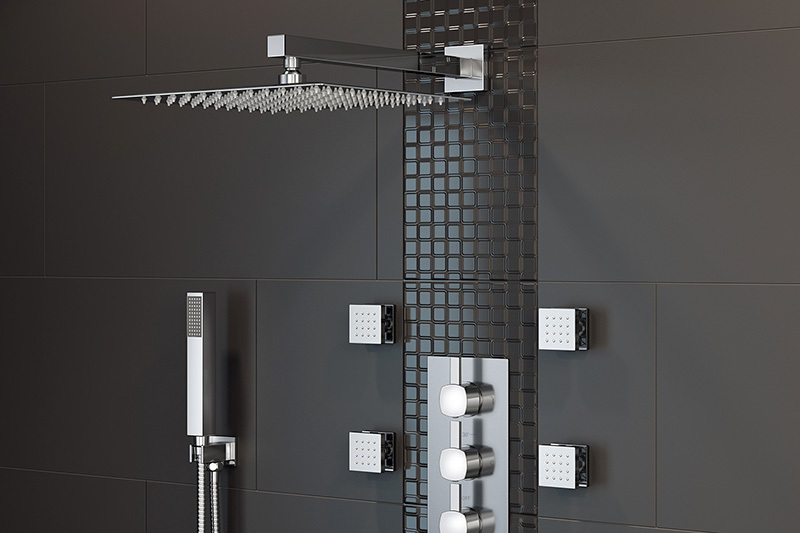 Any one of our shower heads can become an integral part of your dynamic new shower experience. Are complete sets with all the necessary components to add that extra little something to your shower experience. For instance, some shower systems come complete with a multi-function shower head, multiple body sprays, and accessory shelf. The benefit of purchasing a shower system is that all the pieces come matching and with complete installation instructions for the full system.